HealthCare Choices (HCC) was founded in 2001 and opened its first site at 6209 16th Avenue in Brooklyn, where it continues to offer comprehensive medical, dental and mental health care in one location. 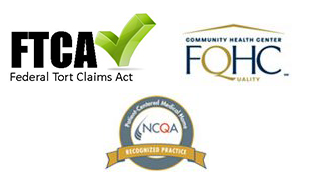 A NYS licensed Article 28 diagnostic and treatment center, HCC received NCQA certification as a Level 3 Patient-centered Medical Home as early as 2011 and received recertification in 2017. In recent years, because of HCC’s expertise with special-needs populations and the high quality of its health service, organizations that operate NYC Department of Homeless Services (DHS) funded homeless facilities have contracted with HCC to provide on-site health care at Starbright Family Shelter and one of CAMBA shelter sites. Homeless individuals have the opportunity to travel to one of the HCC’s locations for continuity of care for medical, specialty and dental needs in a community setting. In 2009, HCC received a NYS HEAL grant and matching funding from the NYS Department of Homeless Services to support development of a new Article 28 health clinic in Long Island City, Queens, adjacent to the Borden Avenue Veterans Residence (BAVR). BAVR is a NYC Department of Homeless Services transitional facility for homeless veterans. HCC’s Long Island City Health Center opened its doors in the fall of 2011, providing male and female veterans of all wars, people who are homeless, people with special needs and the community at large with medical, dental and recently podiatry services. In 2011, the Federal Health Resources and Services Administration (HRSA) awarded HCC Federally Qualified Health Center (FQHC) designation and an operating grant for its Brooklyn and Queens . In 2011, HCC established itself as an independent organization with a Board reflective of the communities it serves and the people receiving health care in our facilities. In July 2016, HCC opened its third community health center located at 179 Jamaica Avenue, Brooklyn after receiving a new access point grant from HRSA. HCC was one of 17 New Access Point grant recipients in New York State to receive funding from the U.S Department of Health and Human Services (HHS) Health Resources and Services Administration (HRSA). HCC East New York (HCC-ENY) was awarded a NYS Transformation grant in 2017 and the funds were used to build 3 dental suites. HCC is a NYCDOHMH grant recipient which allows us to provide Buprenorphine to those in pursuit of recovery through our Primary Care providers. HCC also received a grant to become a NYS registered Opioid Overdose Prevention Program (OOPP) which allows staff to train community members on the use of Naloxone as well as distribute the kits. HCC received additional AIMS funding to expand the mental health and substance abuse services program, enhancing EHR templates and staffing for these crucial services. To provide a more intensive approach to both alcohol and substance abuse, HCC is becoming a NYS Office of Alcohol and Substance Abuse Services (OASAS) provider with provisional certification received in May 2018.